I’ve been trying to sit down and write this for a couple days but each time I try a little person needs my help. I suppose that’s the life of a mom – especially moms of younger ones. So I’ve resorted to writing this on my phone – convenient but not as trust worthy when it comes to spelling (dang autocorrect!) so forgive any grammatical and spelling mistakes. It’s been a good week in the garden. 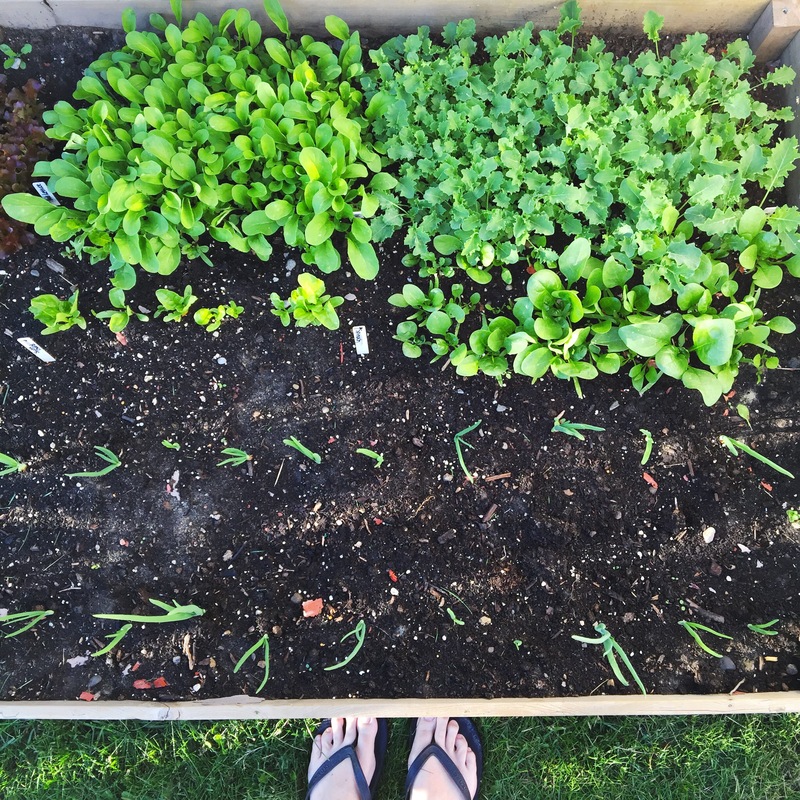 We are going to be having fresh salads next week and I cannot wait! 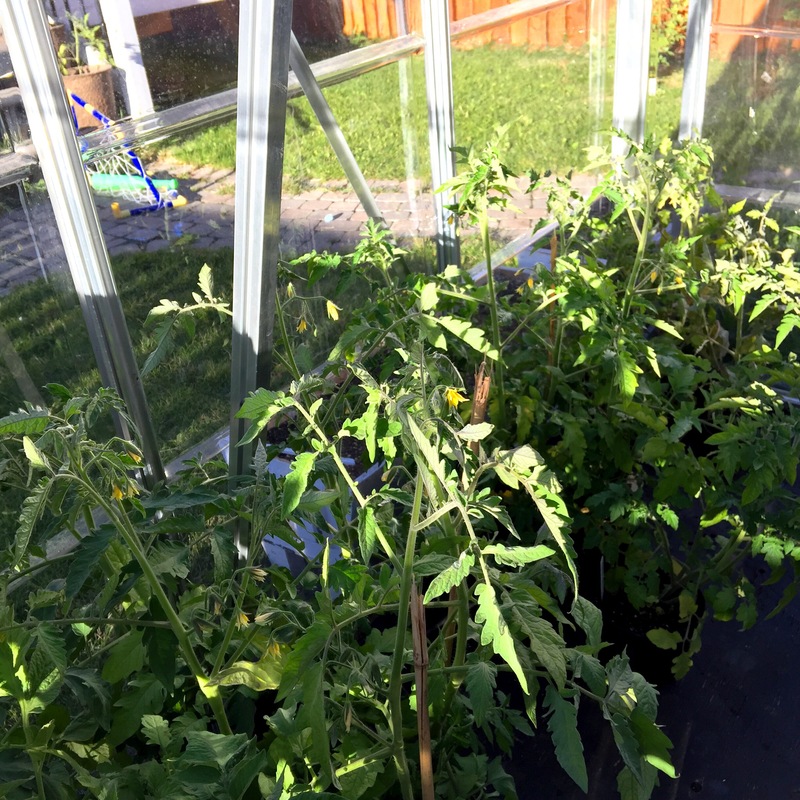 There’s several tomatoes forming, some of the plants have sun damage but there’s lots of healthy new growth which is what really matters. The hot peppers seem to be struggling I guess I should have been a bit more patient before putting them in the garden. I have a lot still in the greenhouse to fall back on if they don’t produce anything. 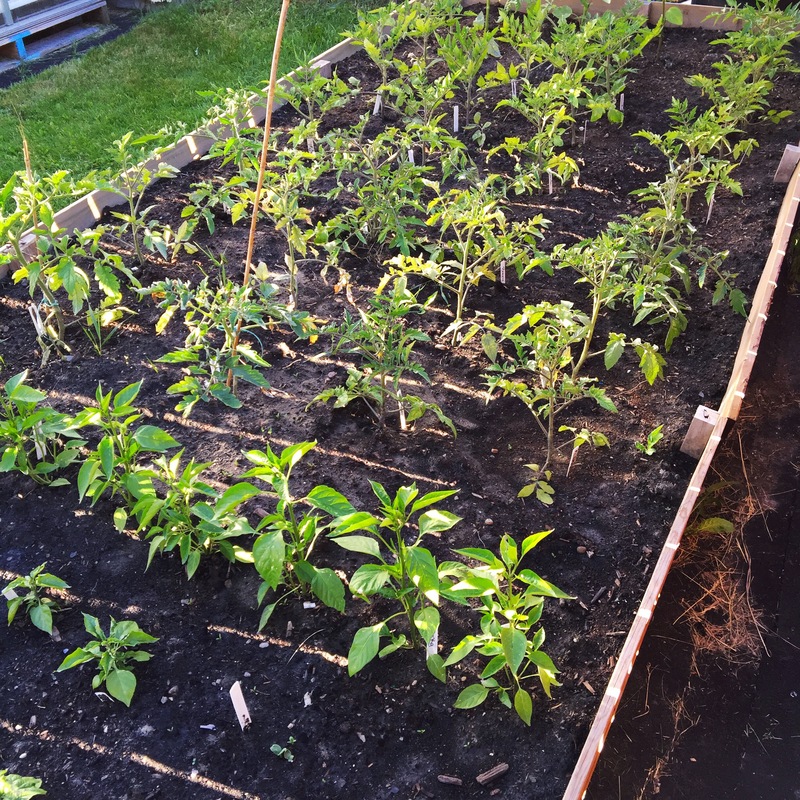 My paprika peppers, jalapeños, and sweet peppers all seem to be doing well though! 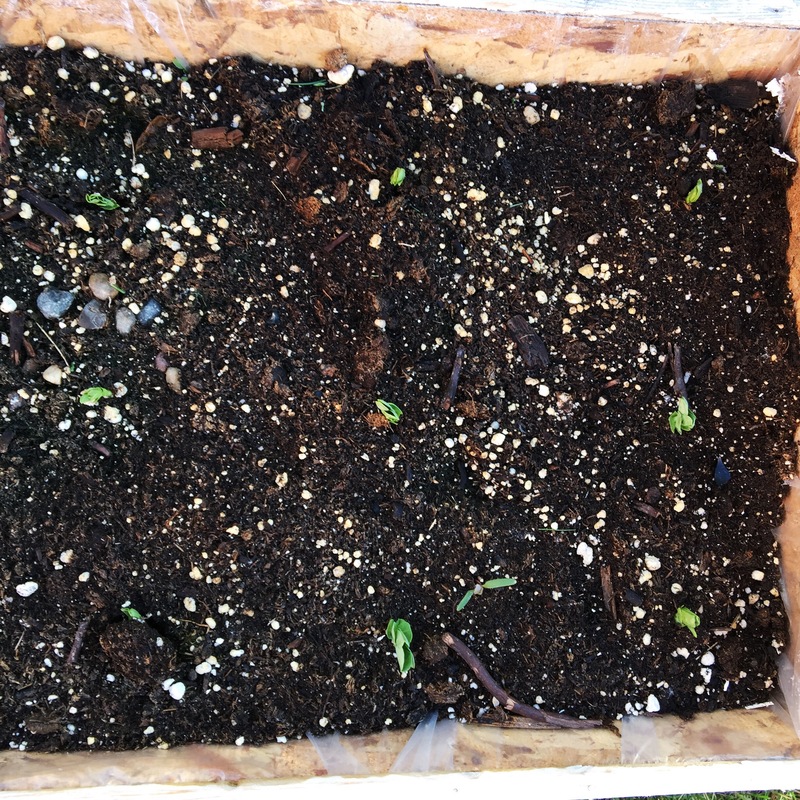 The rest of the garden is sprouted and growing – I’m most surprised by the watermelons, really hoping to get at least one! The wildflower gardens are thriving as well – it’s going to be fun seeing what pops up there when they start to bloom. Gourmet, rocky top, and midnight ruffle lettuce in the back. Arugula (super delicious!) and kale in the back. Swischard and spinach in the middle. Butternut squash, cucumbers and watermelon, peppers in the back. 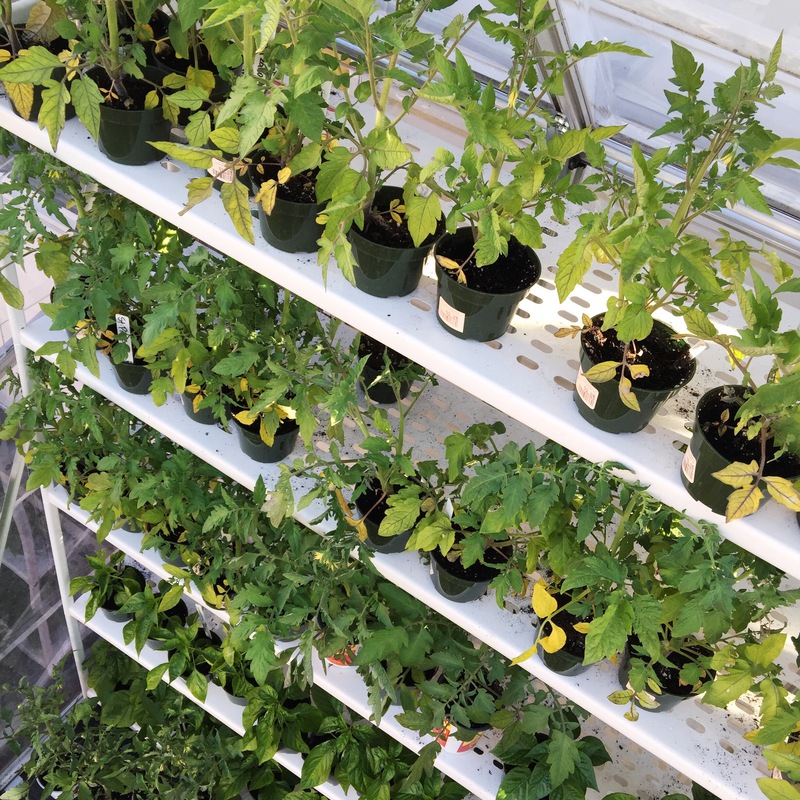 The tall pepper plants are paprika, then there’s the tomato forest! 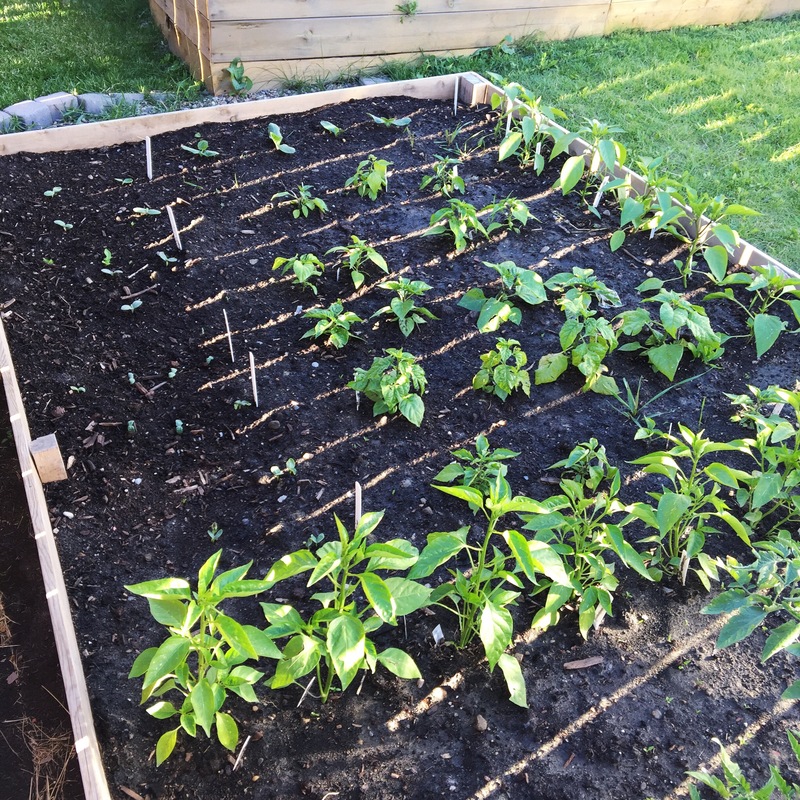 The rest of the peppers and the squash at the back. I’ll never tire of looking at this! 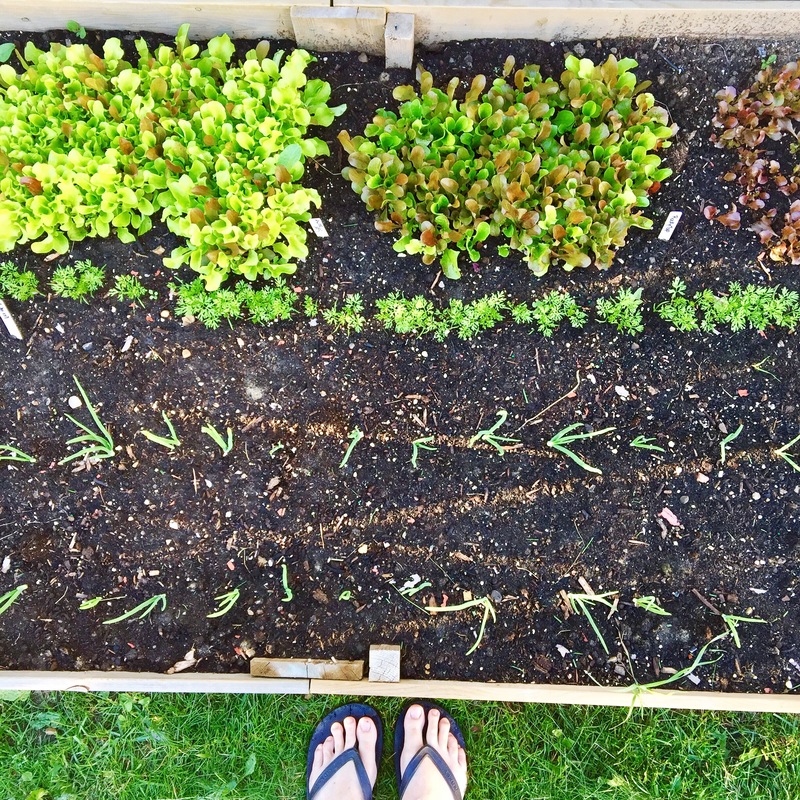 Greens in the back, carrots in the center and onions in the front. 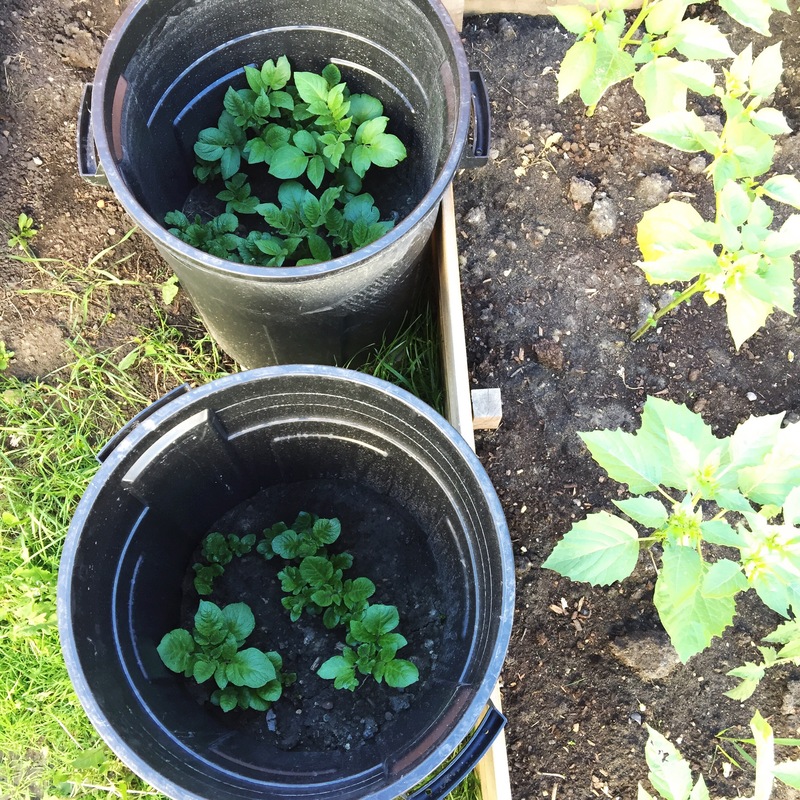 Barrels of potatoes are doing well – time to add more dirt. 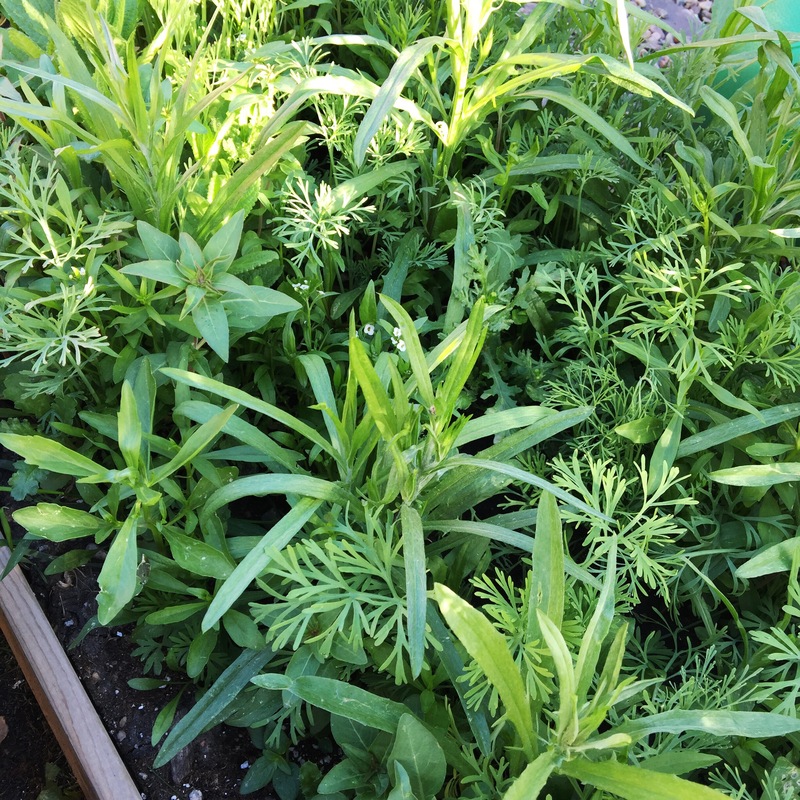 Ezekiel’s gardens are also doing pretty good. I’m interested to see for how long they do well. 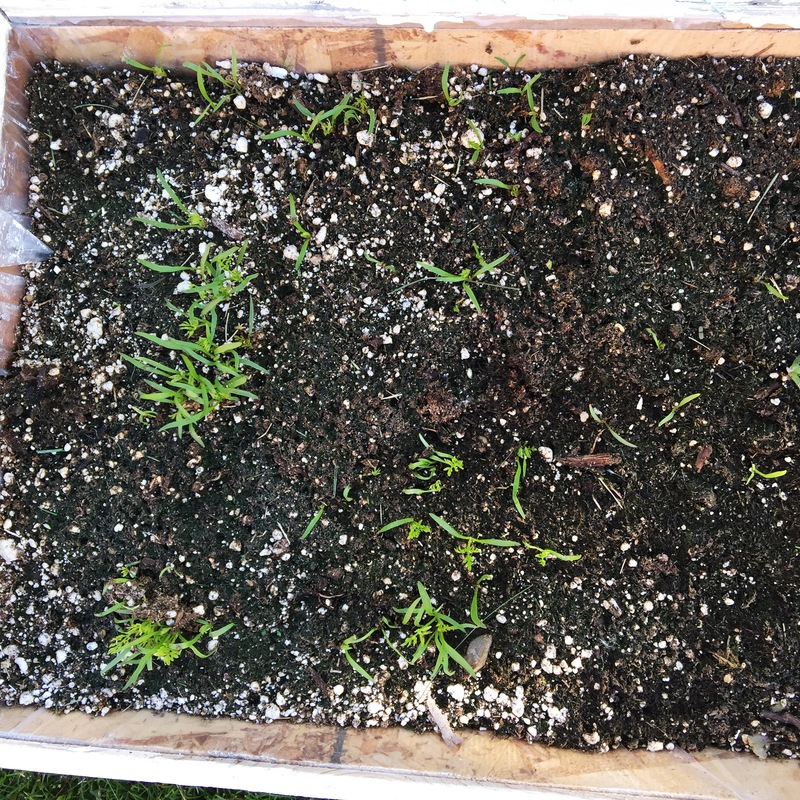 Carrots in the top picture and peas in the bottom. Last but not least – the greenhouse. 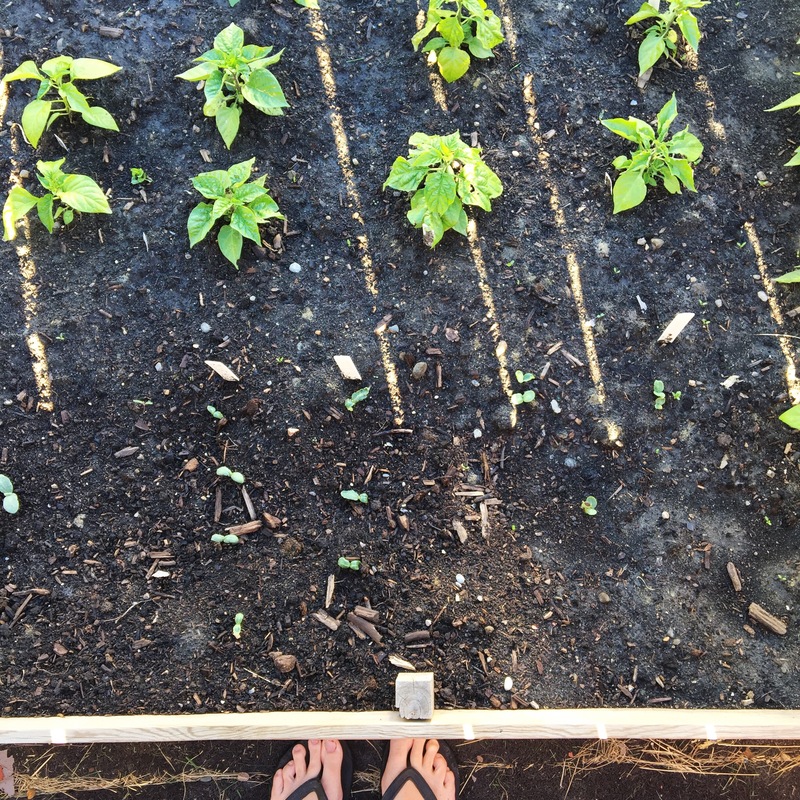 How are you gardens growing? Any fun surprises? Or hard challenges? 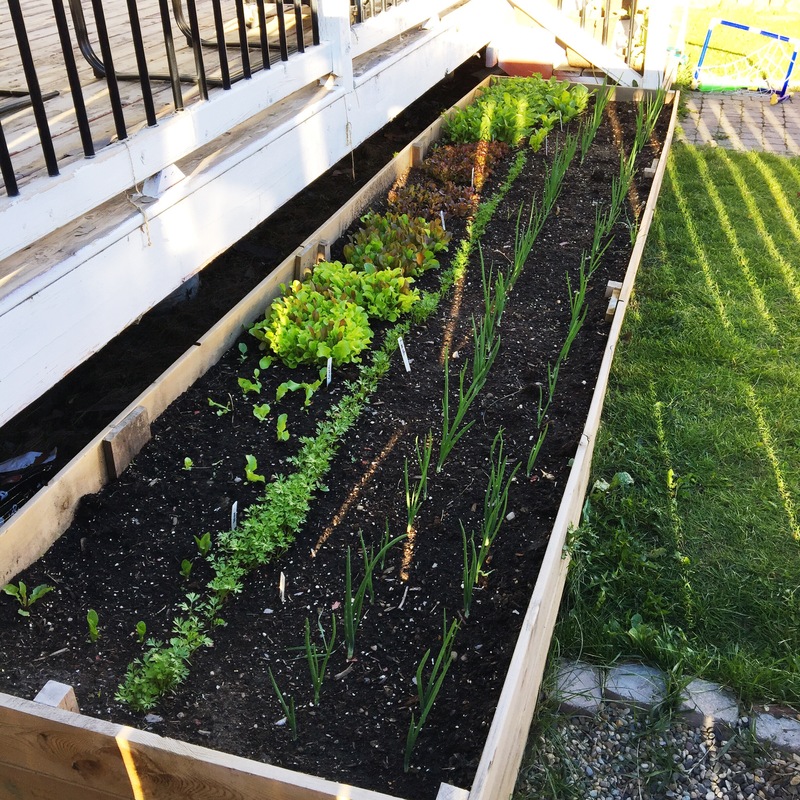 This entry was posted in Gardening and tagged ABOVE GROUND GARDENING, ALBERTA GARDENING, CALGARY GARDENING, EAT FRESH, EAT LOCAL, GARDEN, GARDENING, GROW YOUR FOOD, HEALTHY EATING, HEALTHY LIVING, NATURAL LIVING, SIMPLE EATING, SQUARE FOOT, SQUARE FOOT GARDENING, TOMATOES, URBAN FARMING. Bookmark the permalink.